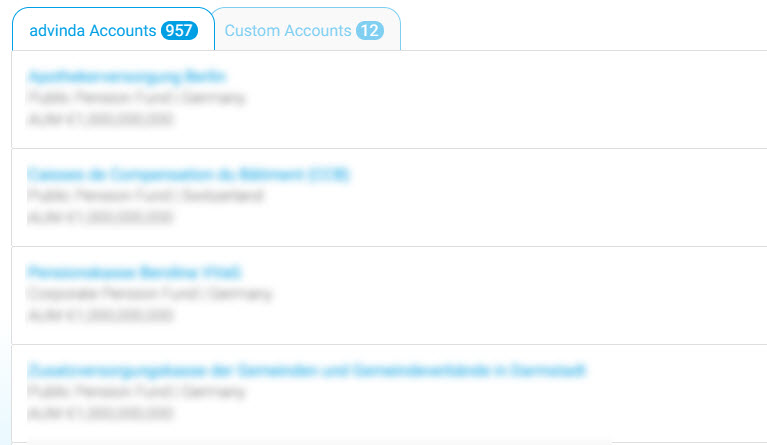 Clicking the advinda Accounts tab displays a table with all advinda accounts from the packages you have subscribed to. The number of results depends on your subscription. advinda Accounts cannot be edited. However, they are continuously reviewed and updated by our Research Team. 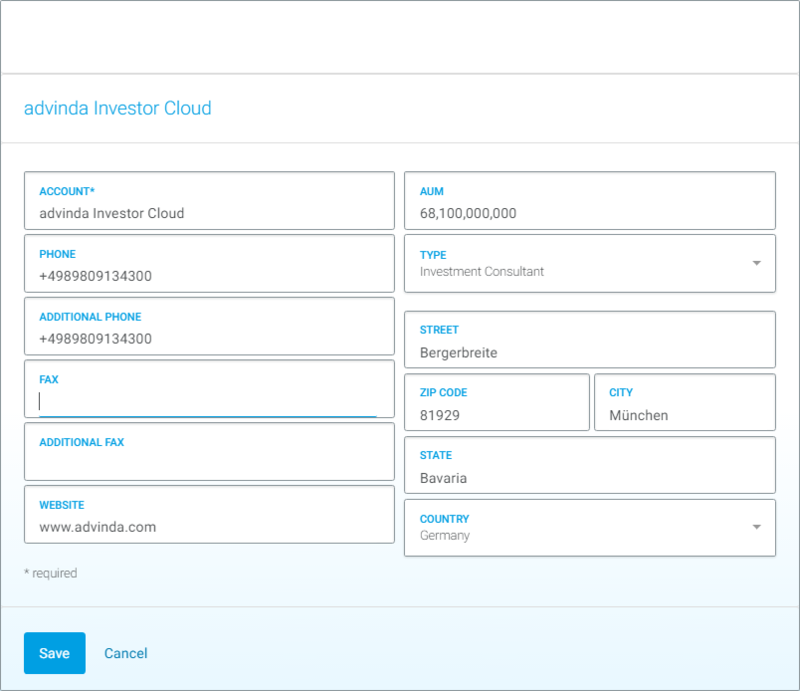 Aside from using advinda Accounts you can also set up your own accounts in the application. 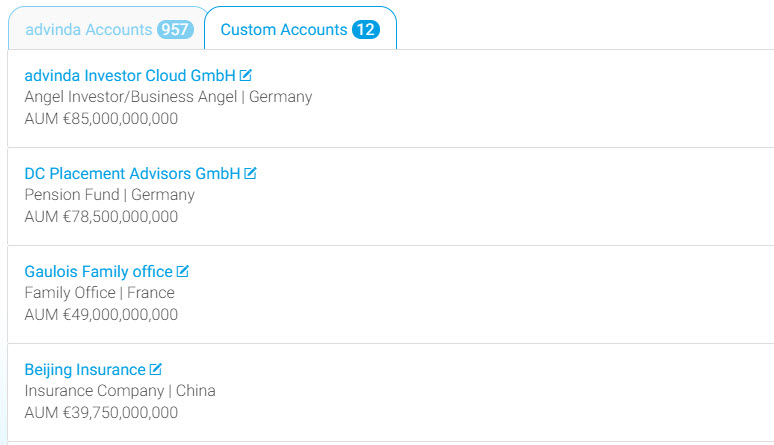 These are called “Custom Accounts” Custom Accounts can be created by you or by members of your team. You have visibility to all Custom Accounts created. Custom accounts can also be edited by any team member. Click the “New +”-button to create a Custom Account. 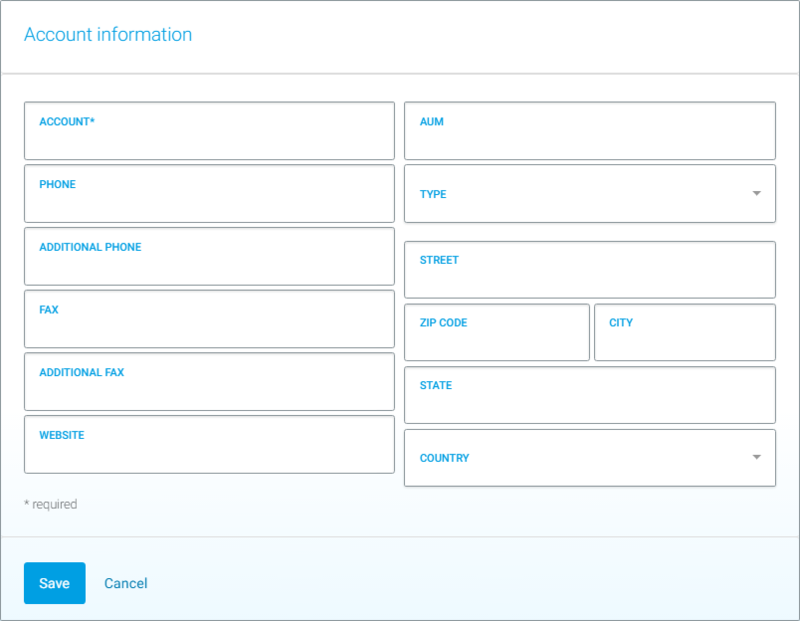 Complete the information, required fields are marked with an asterisk (*). Click Save and the Account will be added to your Custom Accounts list and, if you are working in a team, it will be automatically visible to your team members. If you need to make changes to your Customer Accounts, simply click “Edit” to update the account. Click “Save” and your changes will be automatically visible in the Custom Accounts tab and also to your team. 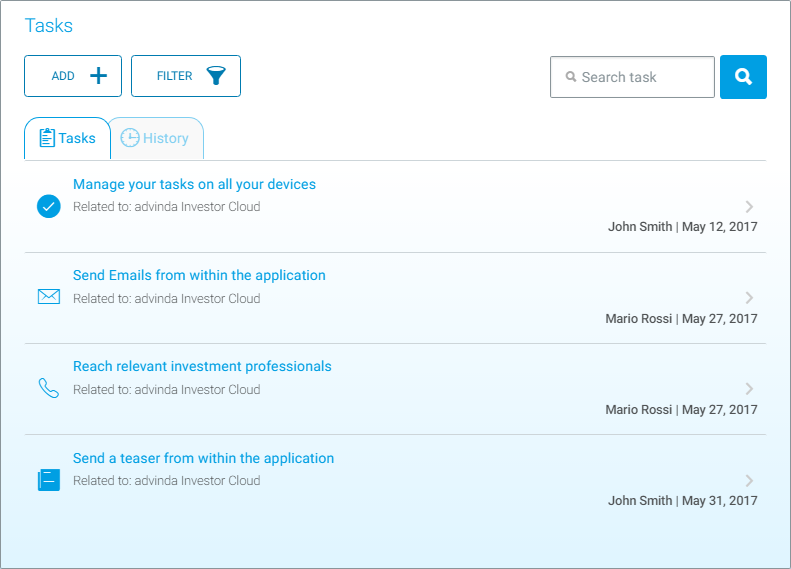 The tasks section shows all tasks related to the account. Active tasks are listed on the Active tab, tasks that were marked by you or your team as DONE are automatically moved to the History tab. 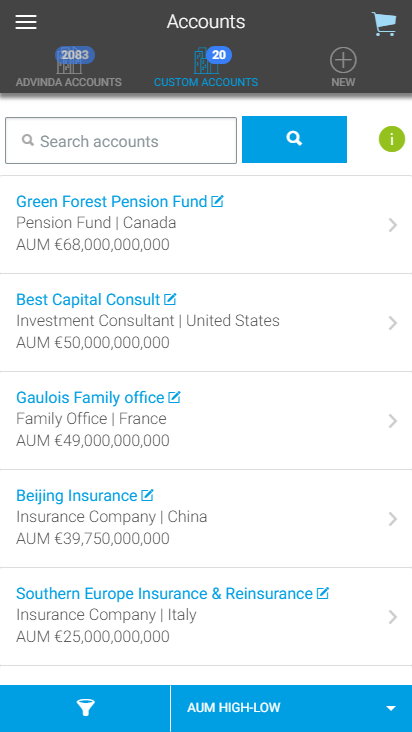 You can navigate between advinda and custom accounts using the bottom bar. Commands can be found at the top. 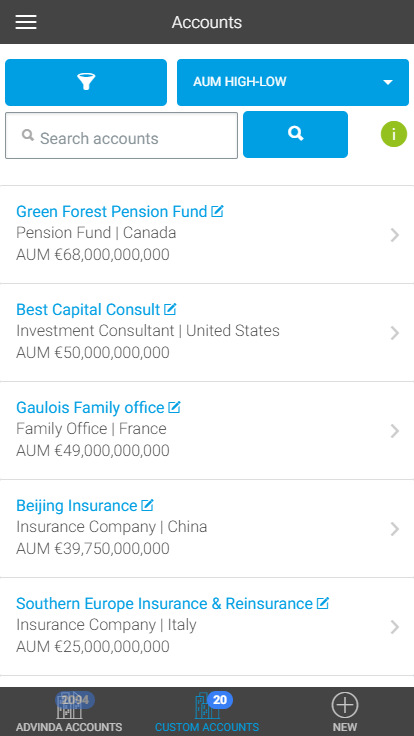 You can navigate between advinda and custom accounts using the top bar. Commands can be found at the bottom.